Your credit report is one of the most important factors of your financial life. 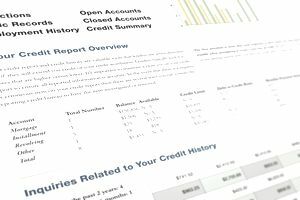 It contains a detailed history of your credit accounts including the date you opened the account, the current balance, and the payment history for the account. Because so many businesses use your credit report to make decisions about you, it's important that you check your credit report at least once a year to be sure the information in your credit report is accurate. Each of the major credit bureaus (the companies who compile your credit report) offers your credit report for sale, but there are instances that you can get a free credit report from each of the credit bureaus. There are specific ways to get a free annual credit report that's allowed under the FACTA. Don't contact the credit bureaus directly for your free annual credit report. You are unemployed and plan to begin looking for a job within 60 days. You are a victim of identity theft and have inaccurate information on your credit report. Some states have laws that allow you to get a free credit report in addition to the free annual credit report you're entitled to by Federal law. The following states have reduced prices for credit reports. Connecticut - $5 for the first credit report each year, then $7.50. Put some time into understanding how credit works and how your credit scores will be impacted by your actions—late payments, opening a new line of credit. Fair Isaac Tools—creators of the FICO credit score—have several tools that can help you understand credit scores, including a free credit score estimator and a loan savings calculator. There are several companies—CreditKarma, CreditSesame—which offer free credit monitoring. Carefully watching your credit score can be helpful if you are actively working to improve your credit score or are nervous about identify theft. Sometimes companies will offer you a year or several years of free credit monitoring when your credit information has been compromised due to a breach of their data storage system. Beware of sites that offer a free or discounted credit report, but request that you enter your credit card number to sign up for a free trial. These sites typically enroll you in a trial subscription to a credit monitoring service and begin charging you monthly if you don't cancel the subscription before the trial period ends.